You can make just about any candy into a fun valentine and Kristyn has created some Valentine printables to make it even easier. 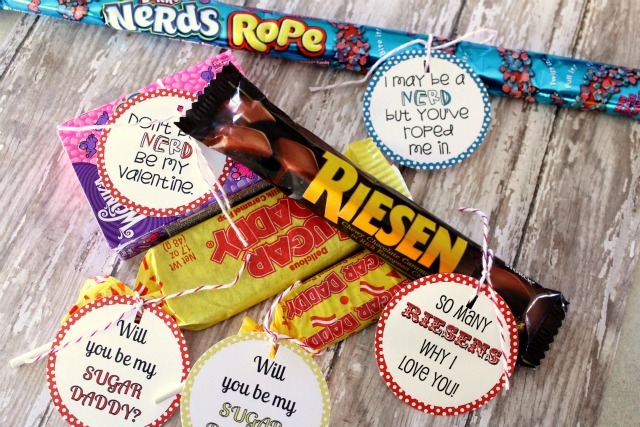 Her DIY Valentine Candy Labels include cute puns for Nerds, Reisens, and Sugar Daddies. So pick which ever is your favorite (or which is the least expensive) and start printing. You can get the printable Valentines candy labels over at Lil' Luna.